Located in the rugged beauty of southeastern Montana, PR Country Comforts offers hunters, vacationers and those on retreat a clean, comfortable home away from home. Phil and Renee strive to provide a welcoming and relaxing atmosphere for all their guests. PR Country Comforts is a fully furnished, non-smoking, air-conditioned vacation home. Three bedrooms plus a queen size hide-a-bed can sleep up to twelve people; bedding is provided. A fully equipped kitchen allows guests to prepare meals. In the appropriate seasons, there is a gas grill and fire pit for outdoor cooking. A continental breakfast is provided the first day of your stay. On the main floor, there is one bathroom with a tub and a second restroom on the upper level; a shower room and bathroom are located in the basement along with a washer and dryer. The pine covered hills are a beautiful place where guests can go for nature hikes, bird-watching or photography. 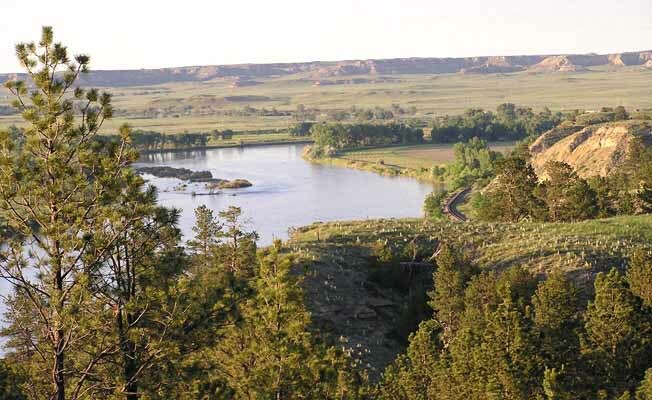 Rock hounds may want to search for the famous Montana Moss Agate or people can simply take in the breathtaking view of the Yellowstone River and the sunsets which are among the most beautiful in the world. Indoor and outdoor games are a hit for family reunions or guests with children; playing volleyball, croquet or pitching horse shoes are good old-fashioned fun. Seasonal campfires are an all time favorite! Home to mule deer, white tail deer, antelope, geese, doves, grouse, sage grouse, pheasant and turkey make eastern Montana a great place for hunting! PR Country Comforts provides a place for hunters to hang, clean and cut up big game and birds. This convenience is complete with running water, cutting tables and the use of a large deep freeze. Many outdoorsmen find eastern Montana a hunter's paradise. PR Country Comforts is a working farm with seasonal activities to be enjoyed. In the early part of spring the summer fallow is worked and the garden tilled. Planting the garden, trees, flowers and various other shrubs happen each year in the early times of summer. Harvesting the wheat generally takes place in late July followed by working the summer fallow as needed. Around the middle of September, winter wheat is seeded. Timely reservations are required for guests to take part in our farming operations. Discounts are offered to retreats and church groups who wish to use our vacation home for small group or individual retreats. The solitude and quiet of country life creates the perfect atmosphere for people to step away from the stress of our busy world. A walking rosary and a prayer path in the hills are there for guests to use along with all the other amenities previously described. Bereavement discounts are also offered for family accommodations. *Hunting *Agate Hunting *Vacationing *Conferences *Family Reunions *Weddings *Graduations *Retreats Whatever brings you to southeastern Montana PR Country Comforts is a great place to stay! Please check our our website for pictures, additional information and cost. http://www.prcountrycomforts.com or call 1-406-351-2150. Traveling west, take Exit 103 off Interstate 94, proceed west on Old Highway 10 for 4 1/2 miles. Traveling east, take Exit 95 off Interstate 94, proceed east on Old Highway 10 for 4 1/2 miles.